I read this article and found it very interesting, thought it might be something for you. 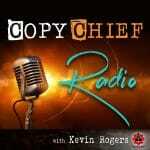 The article is called Ep 92: Eric Wong – Winning The Sale By Thinking One Step Ahead and is located at https://copychief.com/ep-92-eric-wong/. Jamming out today with my man Eric Wong. Eric is a martial artist, fitness marketer, and an innovative, forward thinking marketer. He runs Power Dojo, where he teaches you how to improve your flexibility, strength, and power. What’s the one thing Eric’s done that’s produced the most surprising result? From the outside, Eric looks like a marketer with some hidden superpower, but Eric has always been the type of person to find the solutions on his own… meaning little to no help from anyone except his own intuition and creativity. As a result of using this research (which all of his customers GAVE him), he went from a $35k launch to a full-blown 6-figure launch. Check out what he discovered at 24:18. Show notes & bullets written by Tim Woo. You can reach him at timothyhwoo.com. Do you suffer from paralysis by analysis? 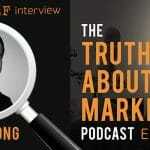 Listen to this podcast carefully (not just the words but Mr. Wong’s general attitude). Mr. Woo once again captures the essence of this podcast with his summary and bullets. Thanks James! Appreciate the kind words. Glad you enjoyed this episode!